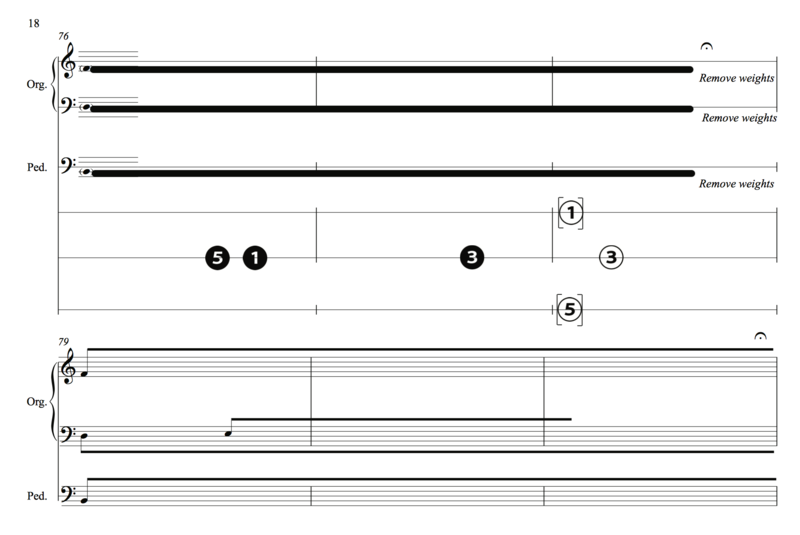 [organ piece] was inspired by Ligeti’s Harmonies (1967), and is a very gradual transformation of timbre. Material is placed in units of time with no fixed duration, each lasting between 10 and 15 seconds, creating a dissociation between fixed-width spaces on the score and the variable temporal space they represent. As a result, the piece resists any kind of temporal systematisation. The piece employs an incredibly light touch technique all the way through, creating a surface in a constant state of flux, similar to the ‘timbre-texture,’ in Malcom Goldstein’s Two Silences (2003).